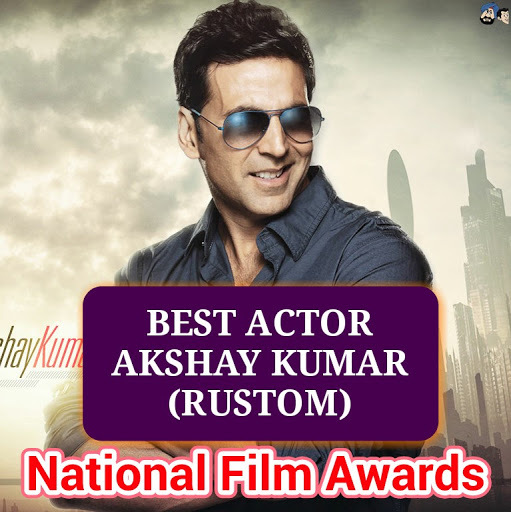 Akshay Kumar won the National Film Awards for Best Actor for Rustom. Unlike last year when Bollywood dominated the National Film Awards, regional cinema took maximum awards this year as the winners were announced by the government on Friday. In the four major categories, Akshay Kumar remained the sole Bollywood recipient, winning Best Actor for his patriotic turn in crime thriller Rustom . Malayalam star Surabhi Lakshmi was awarded Best Actress for Minnaminungu The Firefly, while Rajesh Mapuskar won Best Director for his Marathi comedy drama Ventilator . Marathi film Kasaav was named the Best Feature Film for 2016. Joker , Dashakriya , Reservation and Bisarjan emerged as best films in the Tamil, Marathi, Kannada and Bengali languages, respectively. Uttar Pradesh was selected as the most film-friendly state, while Jharkhand earned a special mention. The only other Bollywood name to feature in the list was Ajay Devgn’s Shivaay that won the award for Best Special Effects.